Hi, Could you please advise, what is the feng shui cure if you have a toilet in the middle of your house? 1. it is not like one can simply remove the toilet and place it at another location. Thus, the clue here is that is the toilet at the centrepoint or not, one cannot change this whatsoever. Have to live with this. 2.1. Here, it simply means that without proper understanding of the whole picture of the home; one is unable to comment precisely. 2.2. For example, in some homes, even though under Shapes and Forms Feng Shui, it is not a good idea that the toilet is at the centrepoint. 2.2.1 But a blessing in disguise for some homes is the inauspicious wealth stars such as #5 and with #9 and or #5 with #2 etc.. are found at the centrepoint of the house. 2.2.2 If so, contrary to popular belief, it may be good to have such nasty stars, there. Although not ideal but better than "nothing". 3. Usually it takes more than one toilet at the centrepoint in a home to cause issues. Often, if a home has three or more major leaks then this is a concerned. Thus for eg. if the toilet at the centrepoint is considered as ONE major "leak" or issue; then try not to have two or more further major leaks. 4.1 For example, even in the 1970's car companies like Volvo and Mercedes have already built in crush zones at the front end of their cars. Thus, even in an event of an accident, the engine compartment does not crash into the vehicle compartment. 4.2 For some homes, there is this safety margin. That makes it a world of difference. 4.3. Thus, in your example; even if there is a toilet at the centrepoint; there is already enough buffer to sustain this. 4.4. The Triage is to better understand the situation. While the concept of maximizing marks is to fix as many leaks as possible. And in some instances, if there is a hidden gem; enhance this! 5. Here, it is a matter of applying common sense and approach Feng Shui using their scientific concepts as well. Thank you for the reply. 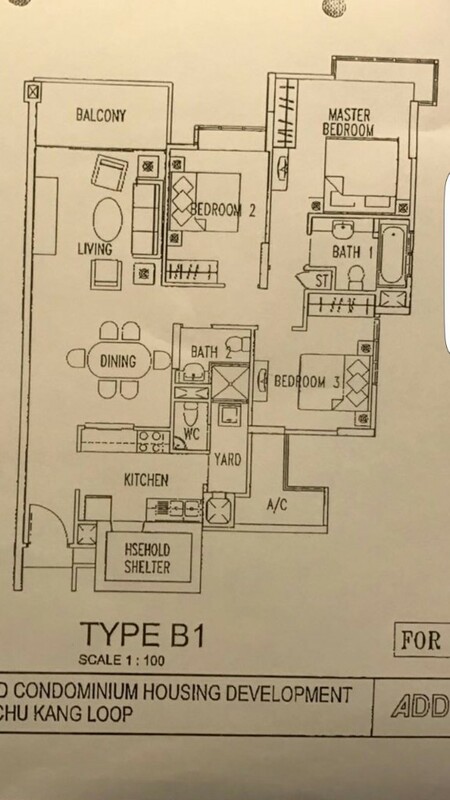 Here is the layout of my house. 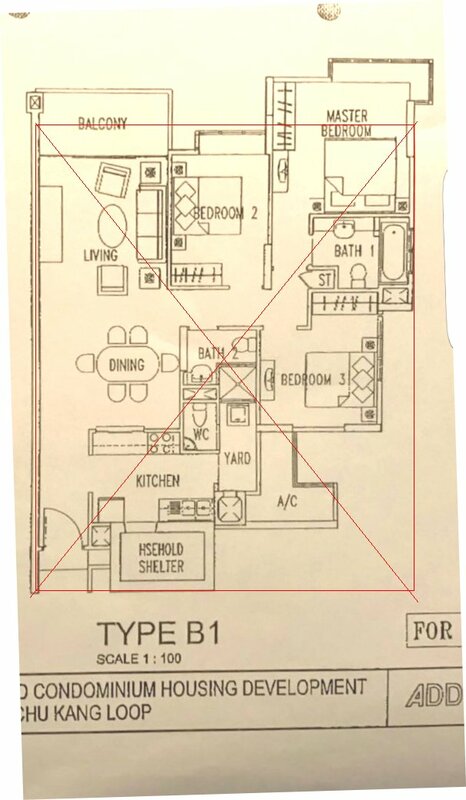 It seems that the toilet is indeed in the center of the house. What should we do to prevent financial and health issues? 1. Yes, the toilet is at the centrepoint. You wrote: What should we do to prevent financial and health issues? 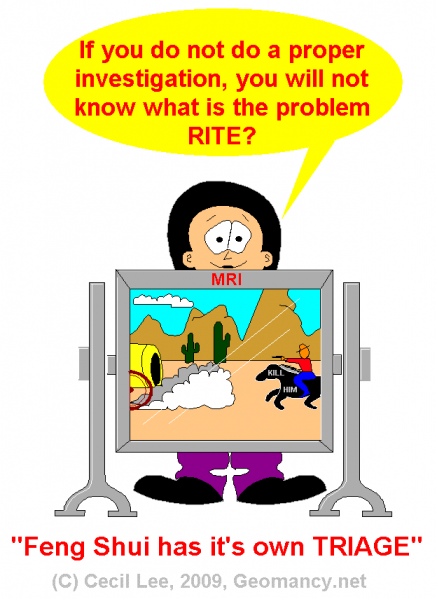 Do you know that in order to find the root cause and minimize and maximize the results... one needs to do homework. Look at the illustration... no prior homework... what prevention is there? Answers cannot just fly off the shelf..
c. Compass School of Feng Shui: Eight House and Flying Star chart. For example, one must make an effort be it DIY or ... to prepare a chart similar to the 2nd attachment. The 2nd attachment has all the three above combined. You have to do your own homework. Then analyse and come up with a solution. It is not so easy as a "one liner"... The last image is that of Ba zi Feng Shui. 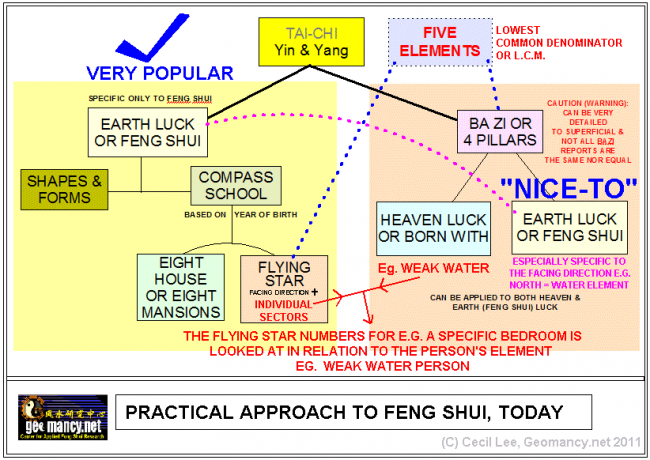 If one wants to DIY also need to study Traditional Feng Shui as shown in the chart. First prepare one and then analyse and find solutions. Unfortunately, if one still for example insists on a prevention or cure.... go for trial and error.. such as flip a coin.. heads or tails... there are no two ways about it. This one.. = Degree mill type of Fung Sway. Lastly, the above is based on common sense + facts of life and certainly not fiction. 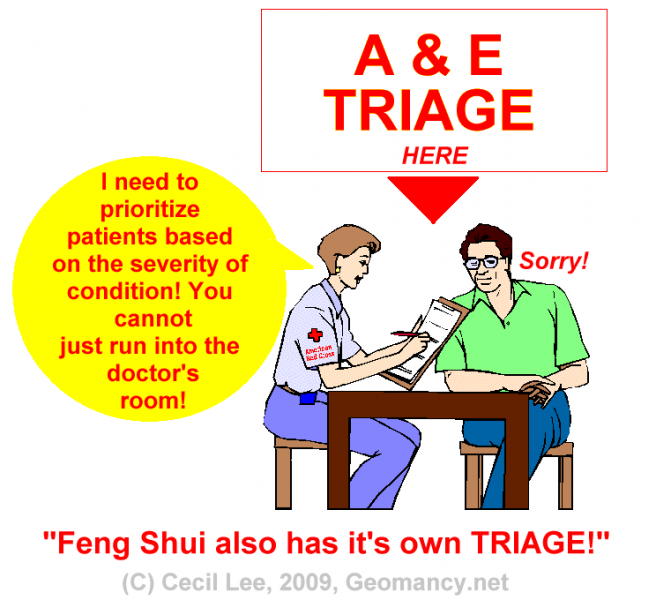 Where is the Triage? Medicine = Health has to do so = All Hospital A & E does this. 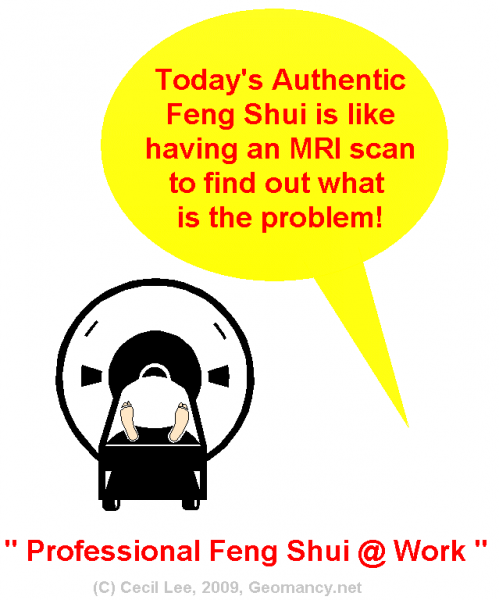 Why Feng Shui is so special and do not do so? 1. Are you so sure that the toilet at the centrepoint is the main cause of one's ills? or Poor health?
" &  - Where #5 = misfortune/sickness fuelled by fire. Be careful of health concerns - monitor for any health issues. " 3. As mentioned previously, usually it takes 3 or more major leaks to cause problems. 4. And if one were to merely "bang-head" against the wall focusing for a cure at the toilet; but yet forget that the master bedroom has nasty health issue as shown in the sample. 5. Do you think that one's health problem will go away... if we do not neutralise / minimize or disarm it = if it is in the master bedroom or other areas of the home? 6. In life also, it is so easy to concentrate on something that unless we can relocate; but rather see what is/are the actual ROOT cause of the problem. #2 = sickness. This is yet another star that can give health issues. For example if one's bedroom is located there. #9 = fire element. Under the Five elements concept: Fire fuels earth = #5 and /or #2. Thus as shown in the illustration.. makes it much worse than just having the #5 alone. 9. If there is an opportunity to enhance the current prosperity stars #8's in the home.